1. 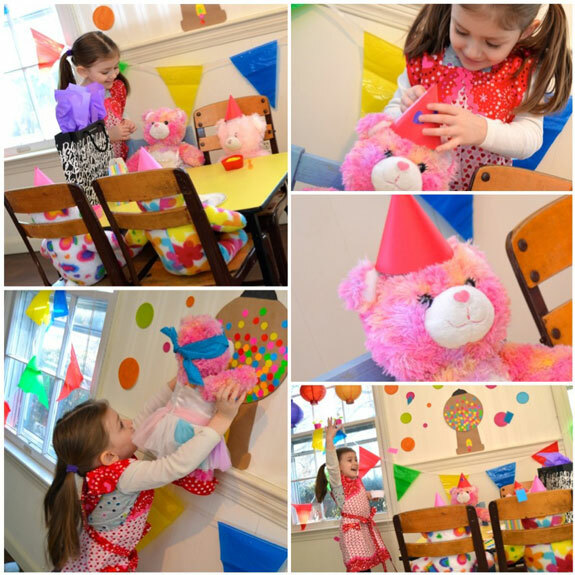 Plan (and then Host) a Teddy Bear Birthday Party — Clara thought this was incredibly fun, and an entire afternoon was spent writing up invitations, wrapping up (and un-wrapping) little presents, and planning creative party games for all of her teddy bear friends. 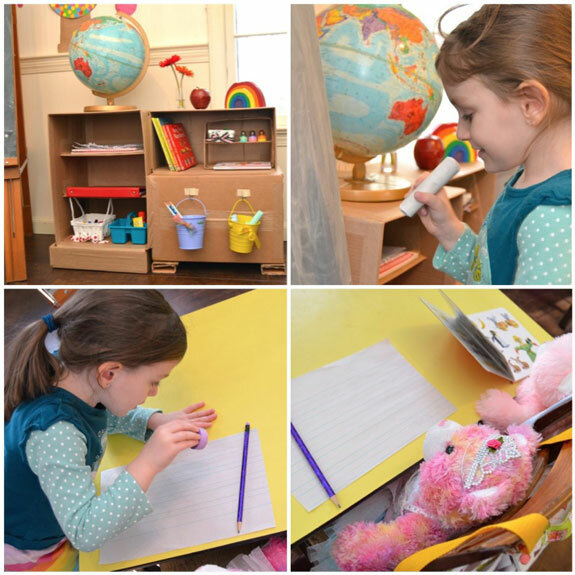 Lots of imaginative playtime fun! The best part? Singing “Happy Birthday” and throwing confetti!! 2. 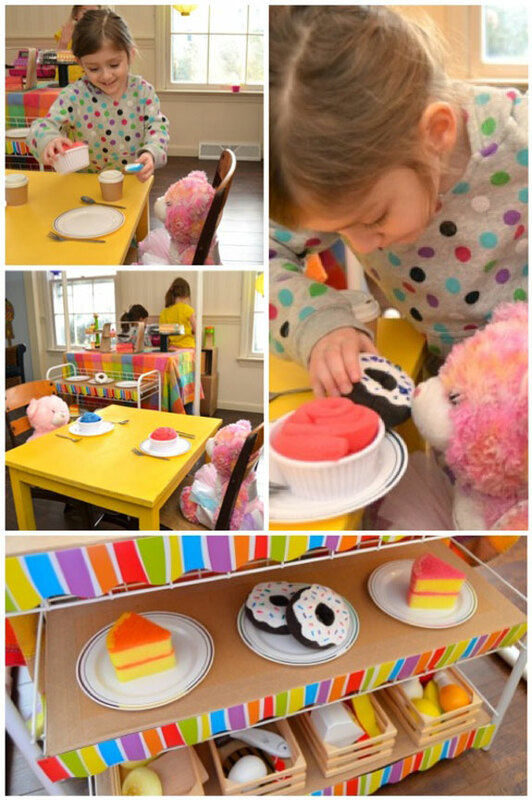 Teddy Bear Picnic — This is a great way to make snack time extra special. Pack up a blanket and some tasty snacks, then bring along your favorite teddy bears for an afternoon picnic in the park! 3. 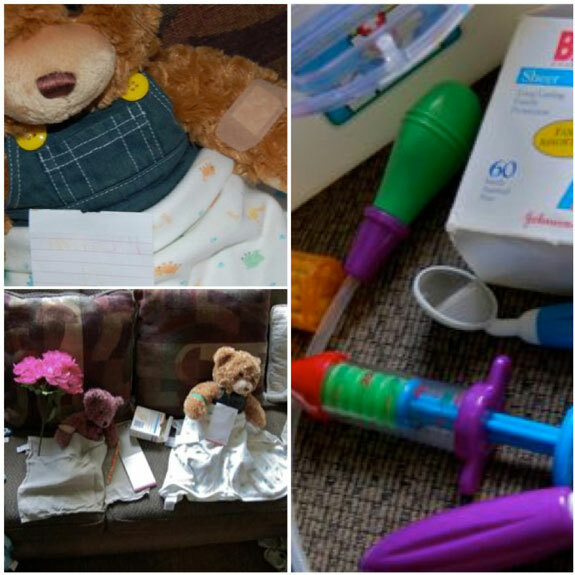 Teddy Bear Hospital — Don’t let a sick teddy bear keep you from spending time with him. If your teddy bear isn’t feel well, it may be time to open a teddy bear hospital. Emily provided lots of pillows, blankets, flowers, and bandages. As a result, her teddy bears felt better in no time! 4. Teddy Bear School — Make sure your teddy bears are getting the best education by enrolling them in a fully accredited teddy bear school. Because nobody likes an uneducated teddy bear. Can I live at your house? 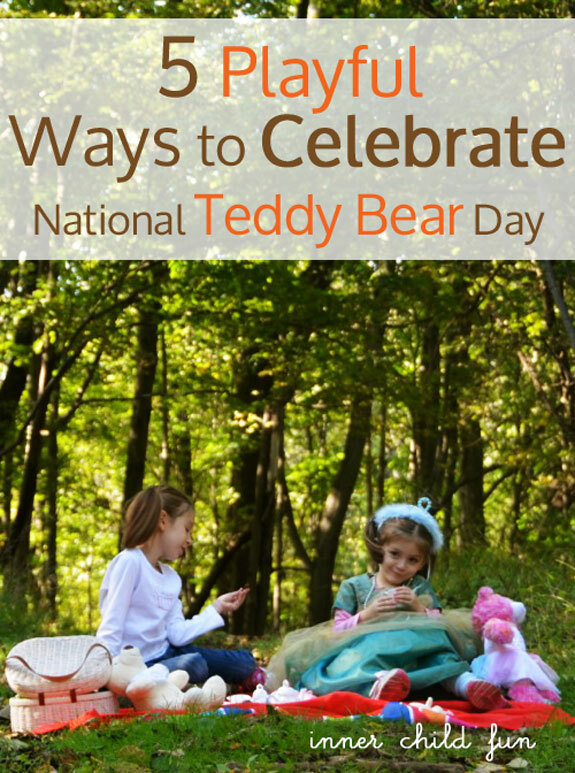 Okay, so you not only know that it’s National Teddy Bear Day but you have ideas to help celebrate. You rock Val! Pinning this! But is there a big surprise? My 2nd grade teacher celebrated Teddy Bear Picnic Day every year and we all had so much fun bringing our bears to school!